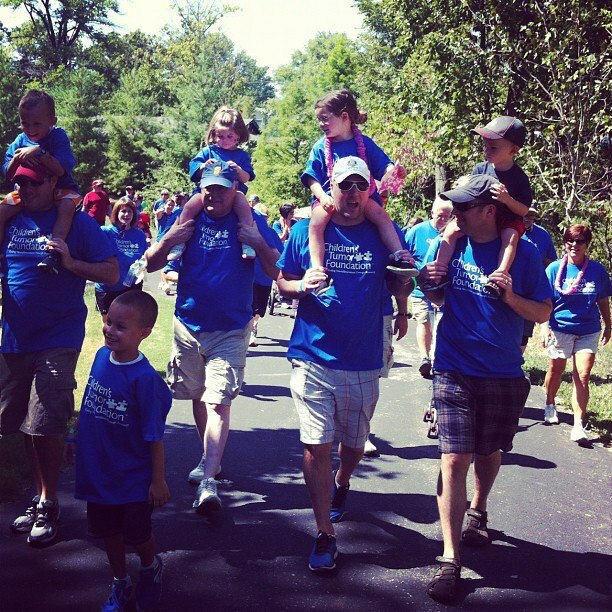 A big thank you to everyone who came out last week to support Team IZ and the Children’s Tumor Foundation! 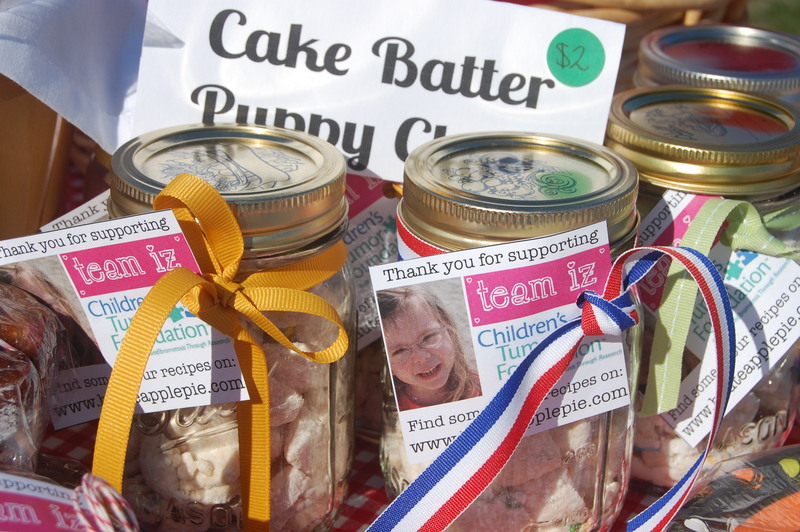 The bake sale was a huge success thanks to all of you. We made over 100 bags, jars and wrappers of treats and sold out of all but about 15 of them. In total we raised $230 towards Team IZ. I’m grateful for and humbled by all of the support. Some of the recipes of the bake sale will show up in future blog posts, but I wanted to send links to some of the other goodies, so you can make them at home! 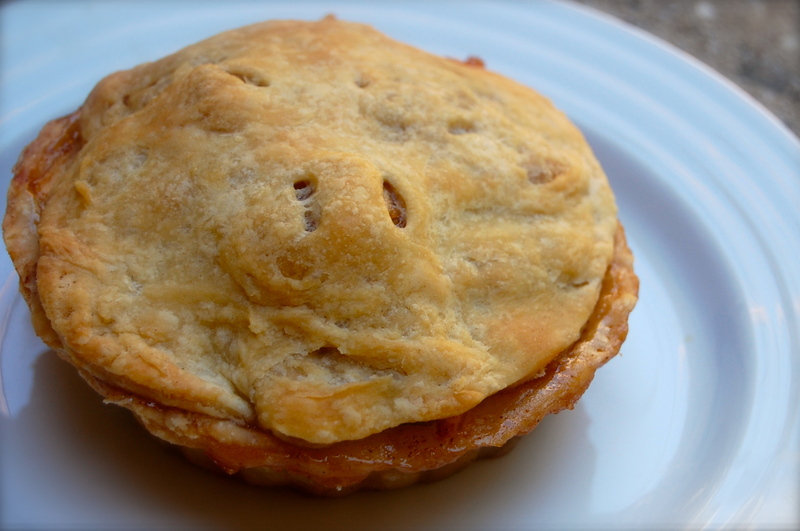 The item that flew off the table the quickest was the mini rustic hot apple pies. Now maybe it’s because of our name, or because one customer told me, “There are two things you can’t resist. 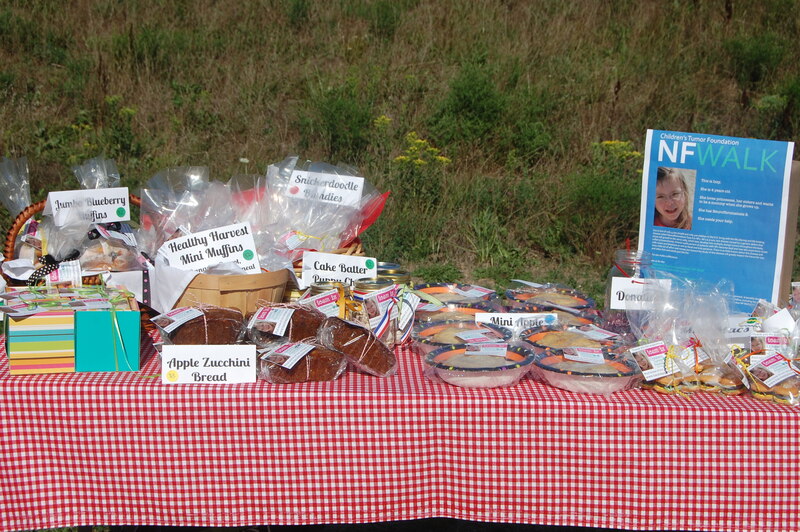 Warm chocolate chip cookies and fresh apple pie.” Regardless, these pies were a hit and fun to make. 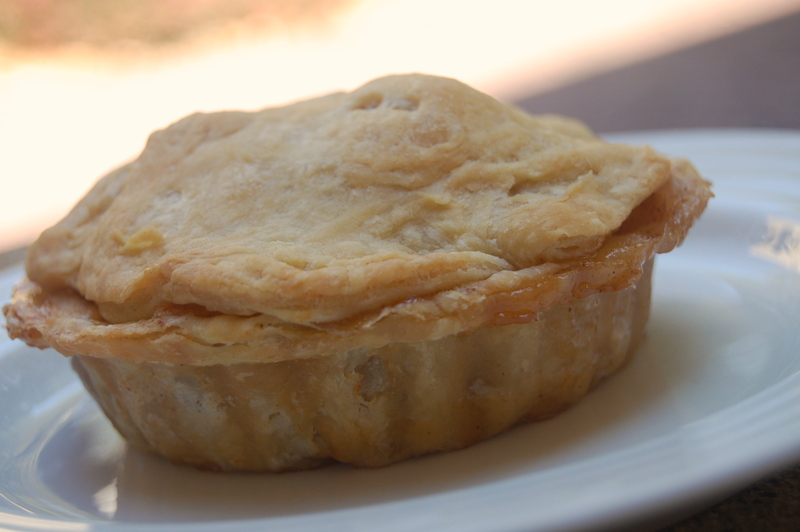 The mini pies are great for a bake sale, or for a fun, different presentation for a dinner party. The key to making a good pie crust is keeping everything cold! So don’t attempt this in a hot kitchen on a 90 degree. Prior to making the dough, I put my metal bowl, knife and cutting board in the refrigerator to start it out right. Keep your butter in the fridge until the last minute. Add ice to a cup of water and set aside. Start by mixing flour, sugar and salt. Cut your butter into small, 1/2 inch pieces. Try not to touch the butter to make sure it doesn’t melt. 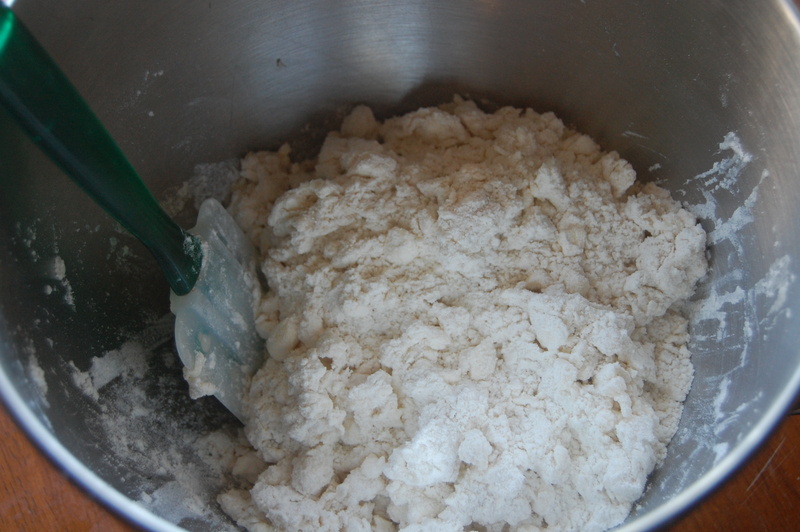 Using a pastry blender, cut in the butter into the flour mixture. Scoop and mix as you go, until the butter crumbly and to the size of a tiny pea. Remove ice cubes from water. Begin to drizzle about 1/2 C of water into the mixture and mix with a rubber spatula. Continue to drizzle water, about 1/4 C more, until the dough begins to stick together. Gently work with hands to mold the dough. Split the dough into two disks and refrigerate for 2 or more hours. Preheat oven to 400 degrees. Grease the mini pie pan. When dough is chilled, flour up a board or flat surface, be generous so the dough doesn’t stick. Using a rolling pin, Gently press and roll upwards continually. Rolling dough takes some time, don’t beat it up. Move in a clockwise position until the dough is about 1/4 inch thick. Using a large cookie cutter or pie cutter (my mini pie pan came with one), cut out circles. Place the dough into the pie pans, molding them to the shape. Add apple filling and top with another circle of crust, pressing the top dough with the bottom dough. Sprinkle with sugar, if desired. Bake pies in oven for 35-45 minutes. Rotate halfway through. Pies should be golden brown. Allow to cool a bit before removing from pan. 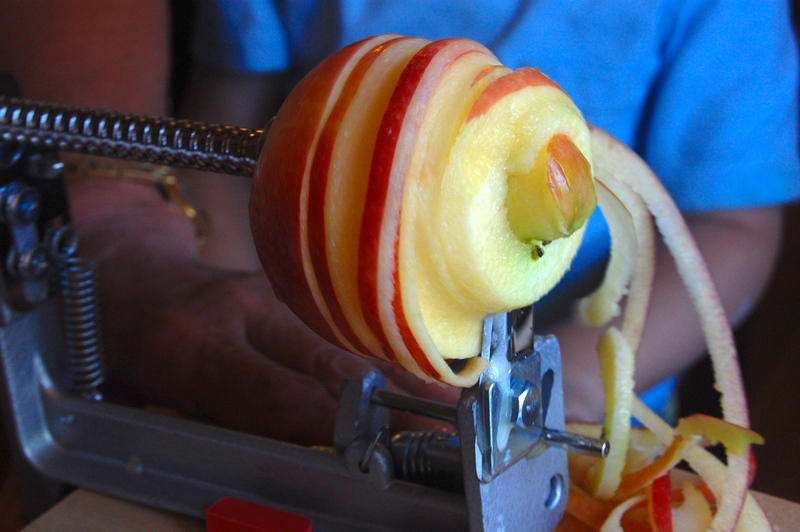 Mix apples together with sugar and spices until combined. Thank you again for your support! 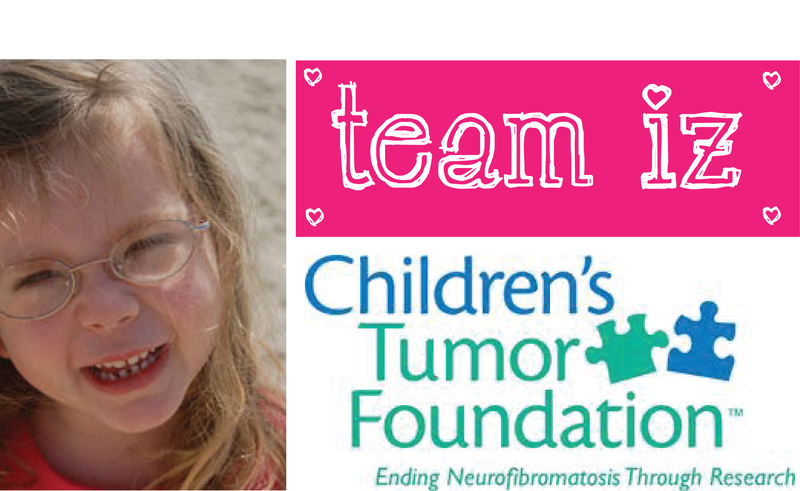 If you missed the sale and would like to donate to Team IZ, please click here.